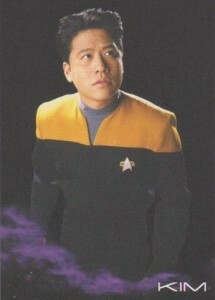 Star Trek Voyager might not be the most revered show in the franchise's history, but it's still Star Trek. 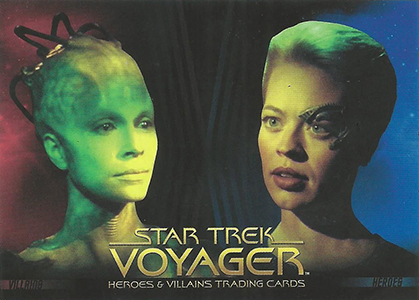 2015 Rittenhouse Star Trek Voyager: Heroes and Villains digs into the characters that made the show tick for seven seasons. Boxes come with three autographs. The base set has 100 cards. As the name suggests, it centers on the humans, aliens and other creatures from the show. Gold parallels are numbered to 100 and inserted one per box. Autographs will be the focal point for many collectors. Inserted 1:8 packs, the checklist has more than 50 signers. Among the key characters lending their signature to the product are Kate Mulgrew (Captain Janeway), Jeri Ryan (Seven of Nine), Robert Beltran (Chakotay) and Roxann Dawson (B'Elanna Torres). 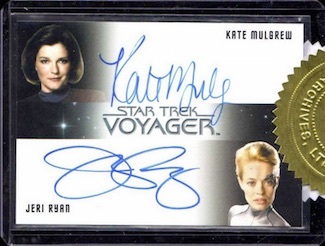 2015 Rittenhouse Star Trek Voyager: Heroes and Villains also features autographs from actors who were famous in other corners of the franchise. Among them are Jonathan Frakes (William Riker) and Marina Sertis (Deanna Troi). The show also had some notable guest appearances. Seinfeld's Jason Alexander, Lori Petty from A League of Their Own and John Rhys-Davies (Raiders of the Lost Ark, the Lord of the Rings trilogy) are also part of the set's autographs. 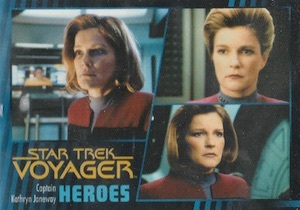 2015 Star Trek Voyager: Heroes and Villains doesn't stop at autographs for the inserts. Both Black Gallery (nine cards, 1:24 packs) and Relationships (24 cards, 1:12) have Gold parallels that are numbered to 100. 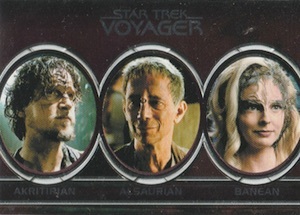 Collectors can also find Aliens inserts. The set has 11 cards with one landing in each box. Not all cards can be found in packs. Twelve-box cases include either a Heroes Montage or Villains Montage card. 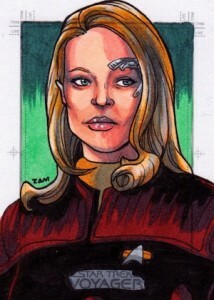 Those ordering six cases receive an exclusive Jeri Ryan Silver Signature Autograph. 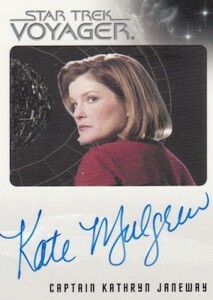 A dual autograph of Ryan and Kate Mulgrew is the nine-case incentive. 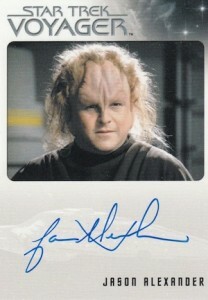 For getting 18 cases, dealers get an Archive Box that comes with a Jason Alexander Aliens Autograph. 99 cards. Shop for base sets on eBay.